Like any beauty fan might, you likely take good care of your complexion. You know the importance of SPF, you cleanse your face twice daily, and apply an arsenal of products every morning and evening. You may have even invested in wrinkle reducers or fillers. (These are temporary medical aesthetics treatments that are injected into areas of the face — like crow’s feet or the forehead to help smooth the appearance of wrinkles, or the cheeks or lips to add volume.) But your skin is your body’s largest organ — so it’s essential that you don’t only focus on your face. According to Dr. David Shafer, a Mayo Clinic-trained cosmetic and plastic surgeon at Shafer Plastic Surgery and Laser Center, it’s crucial not to neglect your neck, which can also get wrinkles. While there are many options to keep your neck and decolletage looking youthful, from using topical products to laser treatments, it all starts with sun protection and good hydration. Always apply a minimum of SPF 30 to both your face and your neck, says Dr. Shafer. “People are often good about applying SPF to their face, but sometimes forget the neck, chest and hands, which can all be sensitive to the harmful effects of the sun,” he explains. We like Supergoop!® Unseen Sunscreen Broad Spectrum SPF 40 ($32), a completely clear formula that disappears into all skin tones. Sleeping face up can take some getting used to, but we recommend investing in a new pillowcase in the meantime. One made of a smoother fabric, like the Slip™ silk pillowcase ($85), will glide past skin instead of tugging on it like cotton might, which could help prevent further damage. 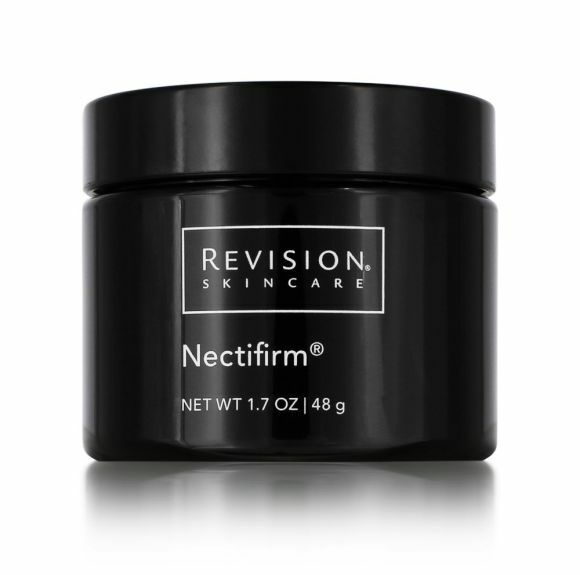 If you feel like you’re past prevention and focused more on treatment options, good news: there’s a plethora of products made specifically for your neck, such as Revision Skincare’s Nectifirm® ($92) or Frownies Neck Treatment Mask ($15), but don’t feel like you need to completely overhaul your regimen. Dr. Shafer says that the same products you use on your face can be applied to your neck as well. His favorite double duty products include SkinMedica® TNS Essential Serum® ($281) and Senté BioComplete Serum ($179). But if you’re looking for more drastic results to reduce sun spots or crepey skin on your neck, a chemical peel or an Ultherapy laser treatment from a professional may be beneficial. Chemical peels help speed up your skin’s cellular turnover, working to bring new skin cells to the surface which will help reduce the appearance of hyperpigmentation and promote elasticity. There are many different chemical peels to choose from (with downtime ranging from zero to a whole week! ), so ask your doctor what is best for your needs. Regardless of whether or not you decide to visit your doctor for longer-lasting solutions, knowledge is power! Now that you know your favorite face products can be applied to your neck, too, show it some love. You’ll hopefully be rewarded with smoother- and firmer-looking skin that you’ll want to flaunt all year long — just don’t forget the SPF!